Awarded to the National Champion Club with the highest point score at the conclusion of the National Championships. 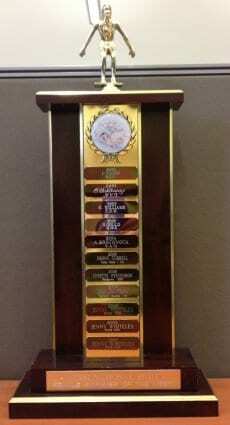 The original trophy was donated by Frank Sykes but when it was damaged it was replaced in 1982 by Mary Connolly (National Treasurer 1976-84) to commemorate Jack Brownjohn's contribution to establish Masters Swimming in Australia. 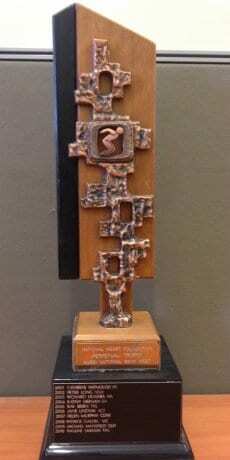 Awarded to the club with the second highest point score at the conclusion of the National Championships. The original trophy was donated by A.C.T. A.U.S.S.I. and replaced in 2005. The Visitors Trophy is awarded to the club with highest point score at the conclusion of the National Championships that is a member of a Branch other than the Host Branch. Up to the 2005 National Swim, the award was given to the top scoring Club whose regular swim venue is more than 100km from the National Championships venue by the most direct road route. 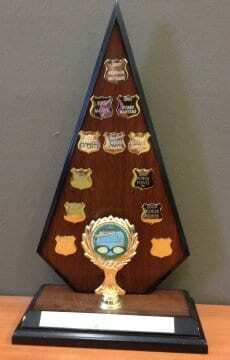 From the 2006 National Swim onwards the award has been given to the top scoring visitors club, i.e. the club that is a member of a Branch other than the Host Branch. 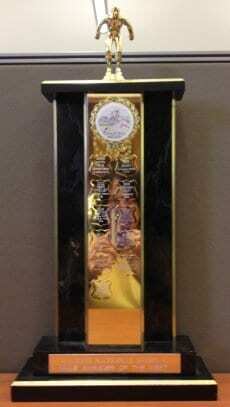 The original trophy was donated by St. Leonard's Travel. New in 2014, the Presidents Trophy is for Clubs with 21-50 members. Rewards performance & participation. Number of points gained at the meet divided by membership. 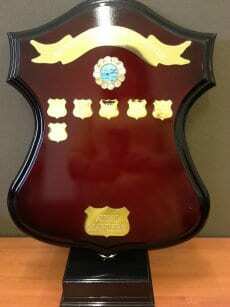 New in 2014, the Life Members Trophy is for Clubs with 5-20 members. Rewards performance & participation. No of points gained at the Meet divided by membership at end of previous year. 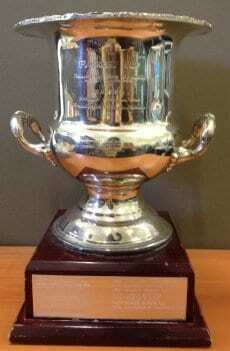 The National Heart Foundation Trophy was introduced by the ACT Branch for their first National Swim in 1985 in recognition of the Heart Foundation’s support for the office services they gave to the Branch. The National Heart Foundation Trophy is awarded by the host Branch to a National swim participant who has shown steady progress over the past 12 months, diligent attendance at training sessions and an interest in helping others improve their fitness. This award provides the opportunity for members to recognise the very valuable contribution that Officials make to Masters Swimming. Masters Swimming Australia announces the Official of the Year winner at the National Championship Presentation Dinner each year, with the winner receiving a trophy in recognition of their achievement. This award provides the opportunity for members to recognise the very valuable contribution that coaching makes to Masters Swimming. Masters Swimming Australia announces the Coach of the Year winner at the National Championship Presentation Dinner each year, with the winner receiving a trophy in recognition of their achievement. The winner is also presented a trophy at the ASCTA National Conference.